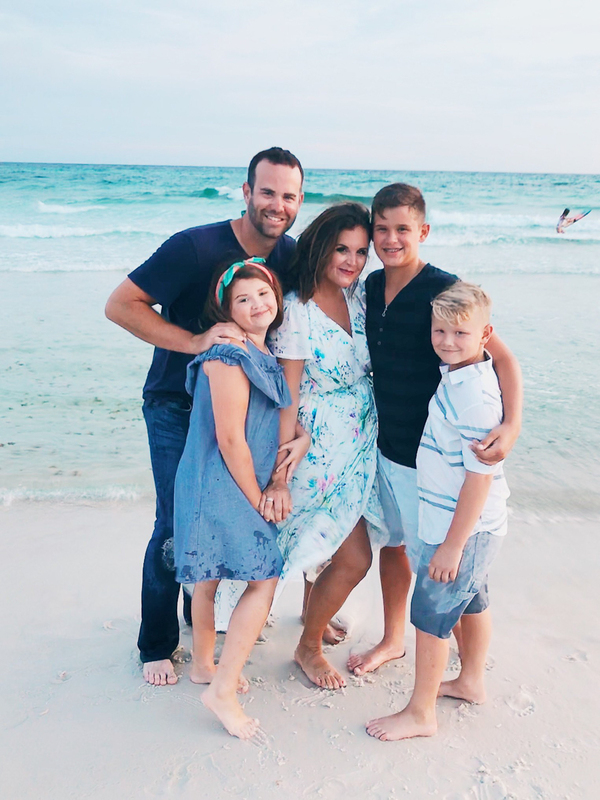 So I’ve seen your DM’s while we’ve been on vacation this week and I’m answering the call with this post on Tips for Planning the Perfect Family Beach Trip to Rosemary Beach. 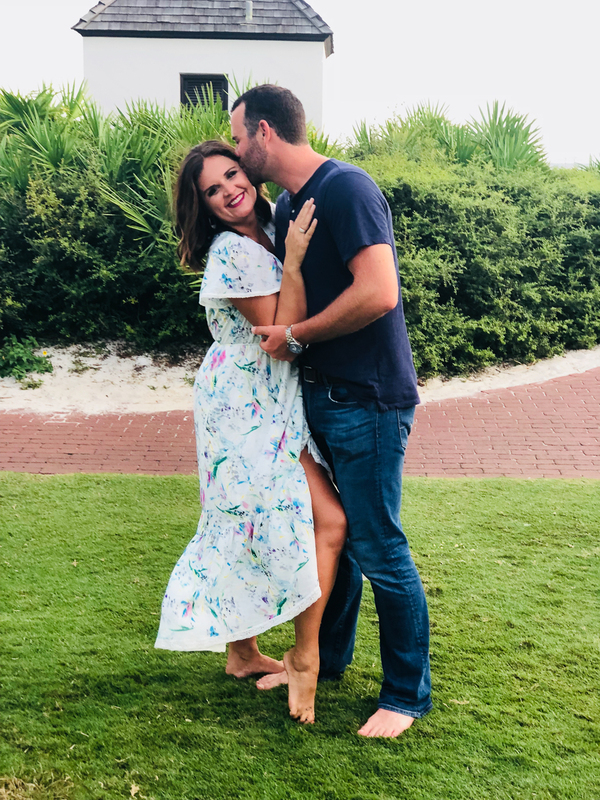 I am literally writing this post as we drive home from the most amazing seven-day vacation in Rosemary Beach and you know me….we planned absolutely nothing and just flew by the seat of our pants. 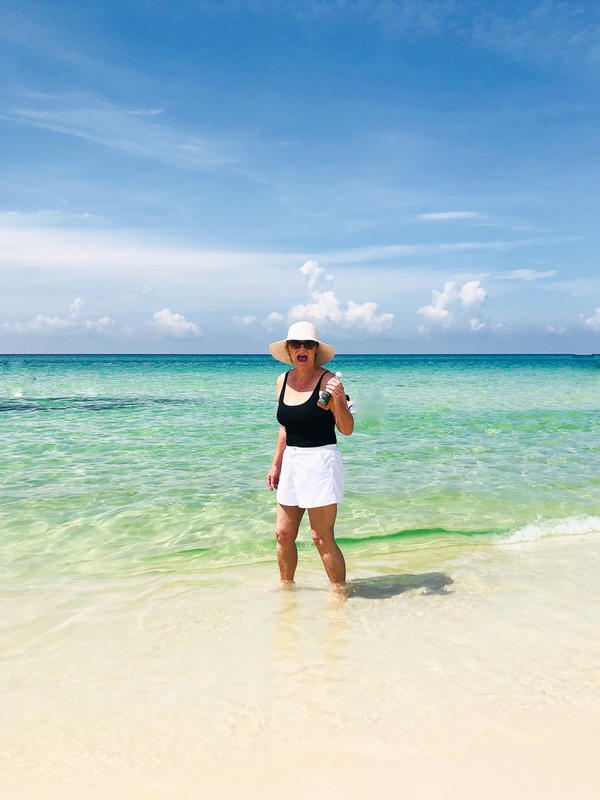 Lucky for you, that means I racked up a whole slew of dos and do not’s while on our trip and I’m going to share everything I learned with you guys so that you can learn from my mistakes, plan ahead, and also have the time of your lives in Rosemary Beach, just like we did! You will need to choose which is more important to you. The closer you are to the green (that adorable little green square you see with all the bikes parked all over it) and the closer you are to the ocean, the better your location is. A better location makes it easier to haul your stuff right out of your house and feel like more a part of all the Rosemary fun (movie on the lawn, karaoke, face painting, and more). For example, in Kay’s cottage, we were able to sip coffee on our second balcony in the mornings and see the ocean and watch the movie on the lawn from the same balcony. It was magical. But you know how these things go..the better the location, the higher the price. So now that I’ve told you the benefits of being closer to the lawn and closer to the ocean, you will have to decide whether or not you’re willing to pay more for that. 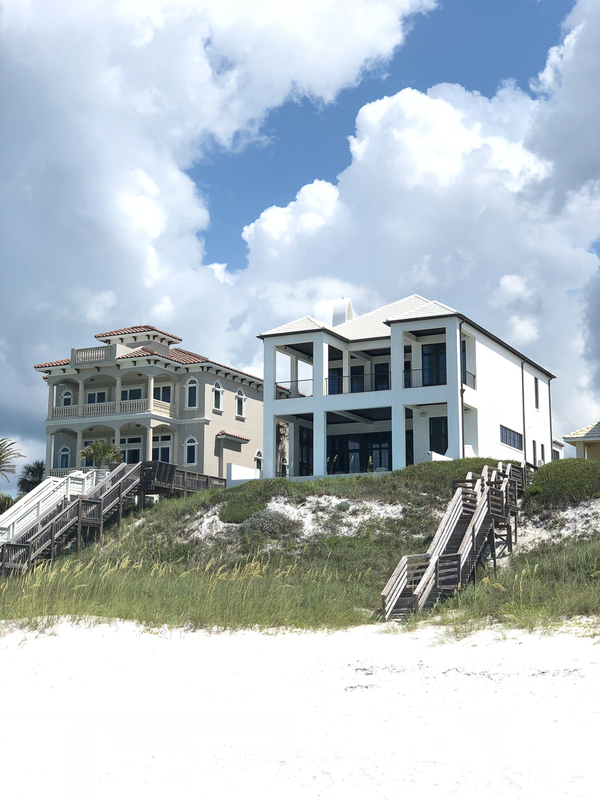 If you are looking for a better price, let me recommend Seacrest beach. 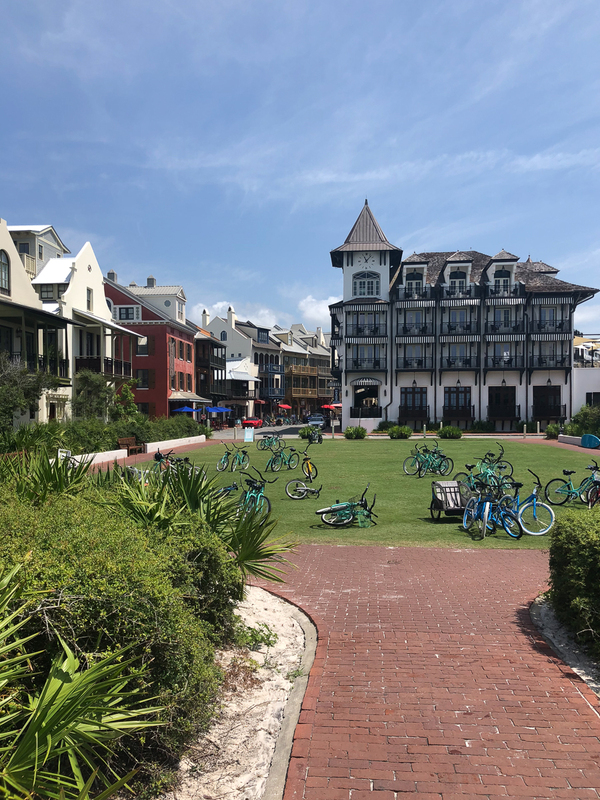 It is a short bike ride from Rosemary Beach and there is a shuttle that runs to the beach every day. 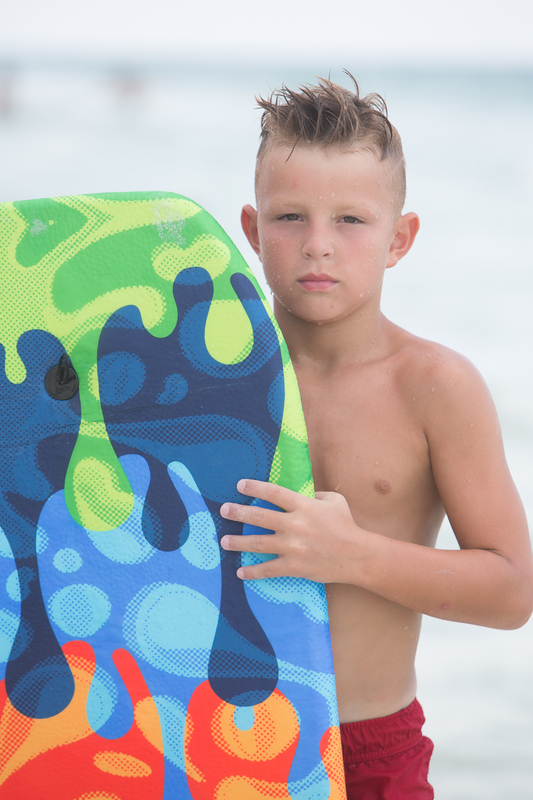 It is much more cost effective but is still a fun-filled, beautiful beach town. Here is our view at Kay’s Cottage and this is Rosemary’s Town Square and the Pearl which we could see from our balcony! We were a short walk to the beach and it was a fabulous rental! A. 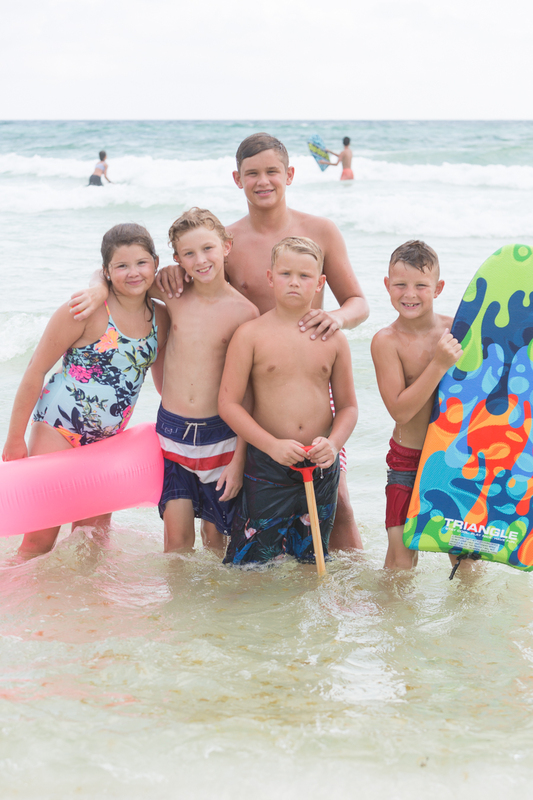 You don’t need a chair for everyone – we only rented a chair for the adults and one extra. It was more than enough. B. BOOK EARLY – We did not (Again, you’re welcome that I’m letting you learn from my mistakes) and we got the third row. 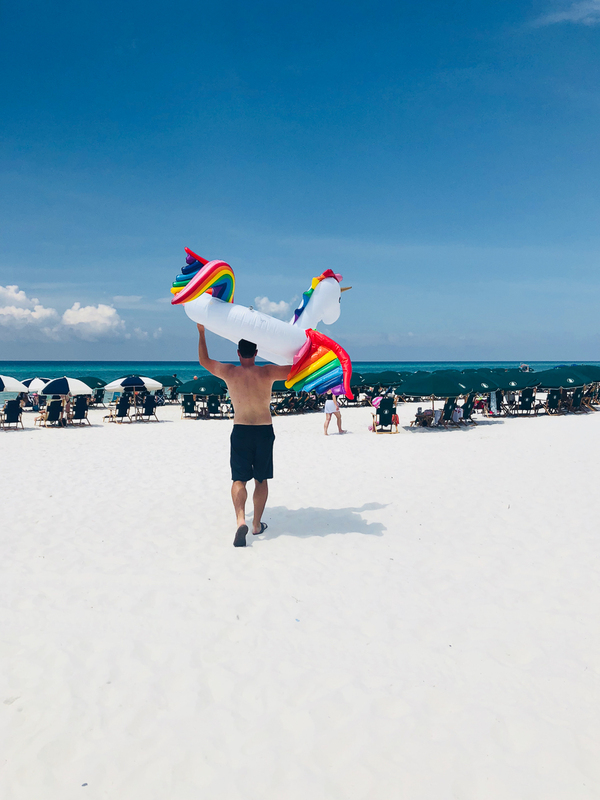 Obviously, our stay was magical and amazing but it would have been more magical and amazing had we been on the first row sitting in our comfy beach chairs instead of the back row – just keepin’ it real for you guys. So book early, ask for the front row. 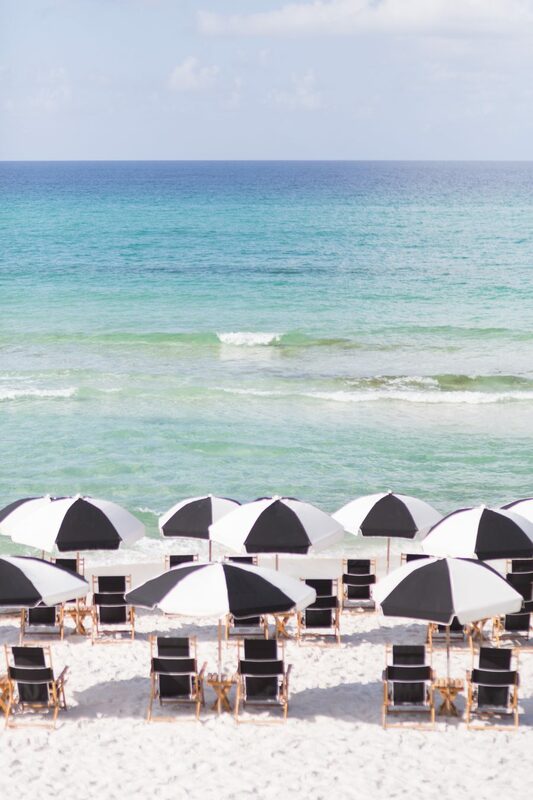 Book the umbrellas and chairs at the same time you book the house – preferably a year in advance if you can swing it. We are talking about booking for the third week in July every year since that works for our baseball schedules. 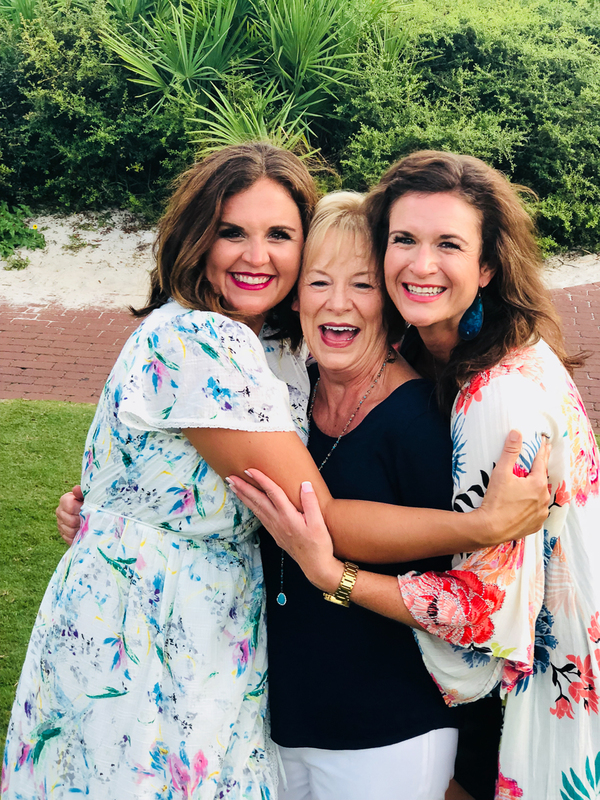 If you plan to go that week, make sure to say hello to the Miller’s if you see us in 30a! 3. 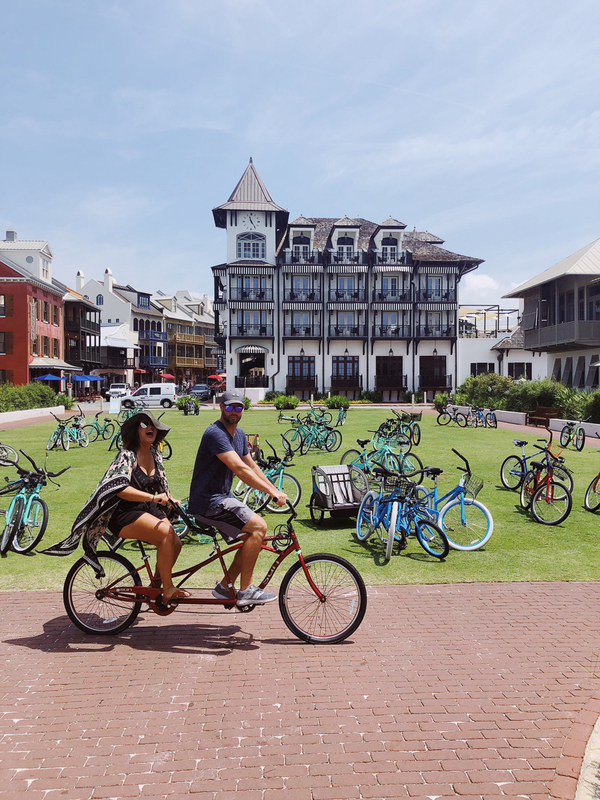 BOOK YOUR BIKES – Next up on my list of Tips for Planning the Perfect Family Beach Trip to Rosemary Beach: BOOK BIKES! You will ride bikes everywhere you go for the most part. 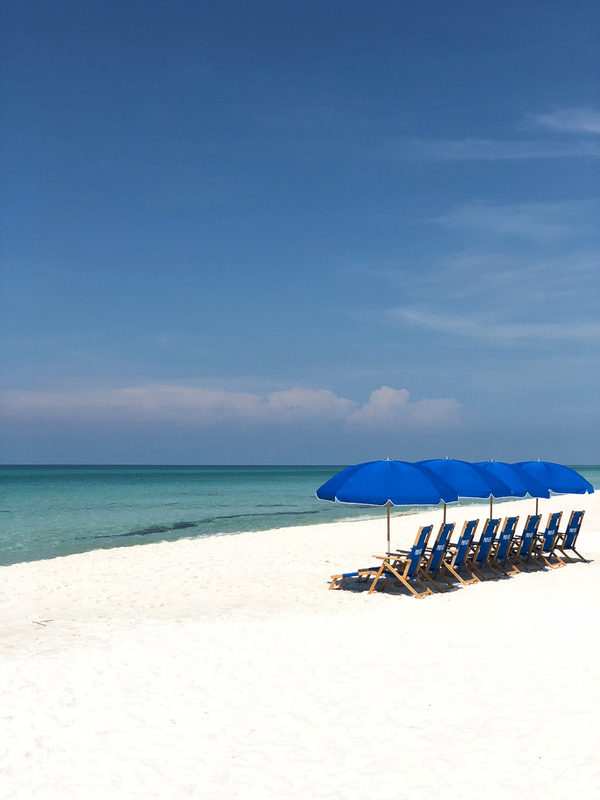 Everything is so accessible and that is one of the most fun parts of 30A – being able to hop on a bike and go explore, go to dinner, go to the pool, or head to the beach. We used Bamboo Bike Rentals. A lot of the places will deliver the bikes to your house so they will be there waiting for you when you get in. Another option is to just go to Bombura as soon as you arrive and get your bikes there. They will fix you right up. Oh, and don’t be scared to try the tandem! Waterproof speaker (Trust me, it’s fun and lots of people have them at the beach. Make a fun beach playlist before) | APIE Waterproof Speaker (Amazon Best Choice and Seller) – we bought the Alltec (#1 listed before) but that was because it’s what was available. It worked great and I have no complaints but if you want something with a little more punch, I gave you the second option as well. 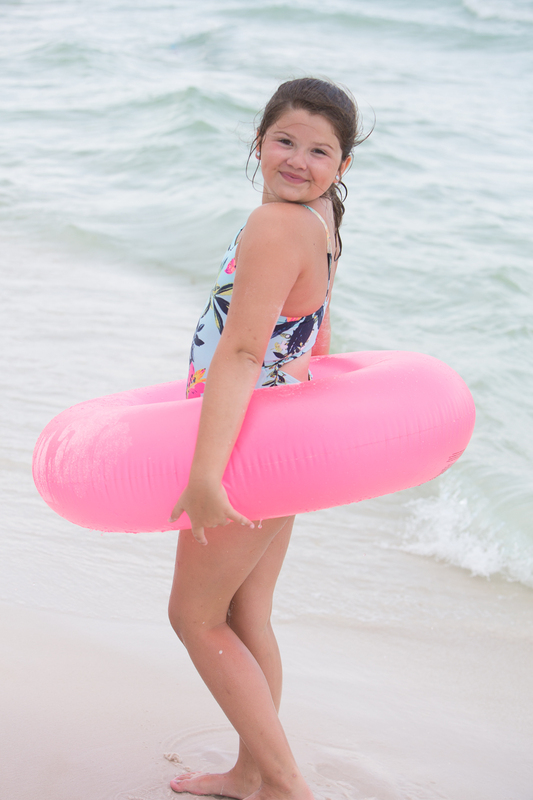 Fun in the Sun Turkish Towel – these are great to use as cover ups or beach towels! His and Her Sunglasses – Oakley Holbrooks | Quay Aviators – our personal faves! Phantom Drone – We were literally sick that we didn’t grab MM’s drone and pack it. It would have been so fun to fly it over the ocean and take videos and pictures! We are definitely taking it next year. Oh yes, and don’t forget the inflatable unicorn. Obvi that’s a necessity. So all beach rentals run from Saturday to Saturday usually. That means everyone gets there on Saturday and is heading to the grocery store to get all their food and snacks. It is basically mass chaos and it’s so much better to avoid it. If you don’t have Shipt, definitely download the app because you can get groceries from Target and in Rosemary they even have Shipt for the liquor store as well so you can get drinks and ice delivered as well. You will want to put the order in 24 hours in advance and just choose a time for the day you are arriving. It will be a total lifesaver and will save you hours of fighting crowds at the grocery store. And oh yes, can I just go ahead and recommend that you put our Summer Beer Recipe ingredients on your Shipt order. We may or may not have made it 3 of the days we went to the beach. Because it’s vacation. Feta Bean Dip is another good one for the beach as well! Great Southern – (Seaside) This amazing restaurant is our #1 recommendation! It is in Seaside and we got there at 4:30 and there was already an hour wait. We waited almost two hours and just got some snacks and drinks at the market and shopped in the cute little stores in Seaside while we waited. IT. WAS. WORTH. IT. In fact, we loved it so much we went back another night and waited another hour. 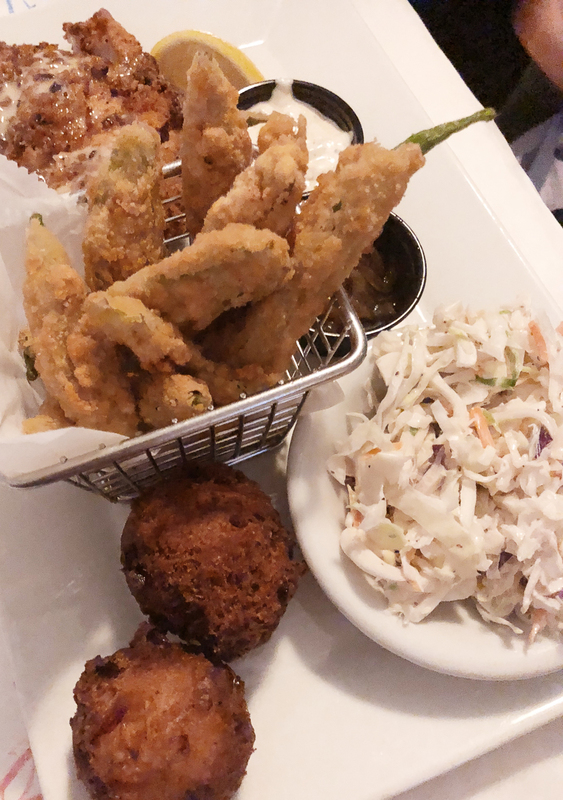 Get the hush puppies (Best I’ve ever had), pimento cheese, fried okra (eat the pimento on the fried okra and thank me later), and the Grits a Ya Ya as the main dish was ridiculous good as was the fried shrimp and grouper. Honestly, everything we had was ridiculous good. 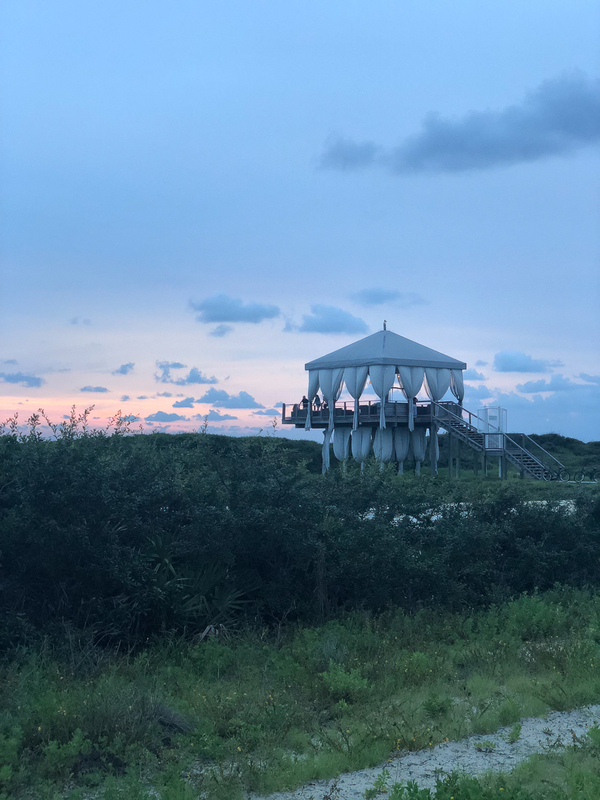 LaCocina 30A – (Seacrest) – This was some darn good Mexican food. The Margarona was also delicious and so was the queso and guacamole. My sister and law and I got the lobster enchiladas and shared them and they were definitely yummy. This was a new restaurant to try but trust me, we will be going back next time we are in town. 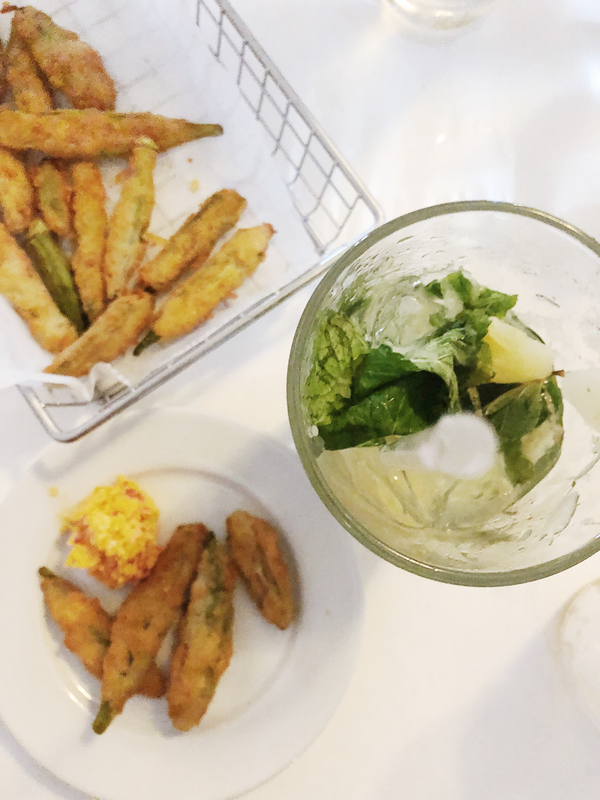 Pescado (Rosemary)- This is the new restaurant in Rosemary Beach. It is exclusive. It is rooftop. It is 18 years and older only and you will want a reservation (they are one of the few places that will actually take a reservation. They had yummy drinks and appetizers and desserts but we didn’t try any main dishes. Everything looked delicious though! Sugar Shak (Rosemary) – This is a fun little candy and sweet shop. 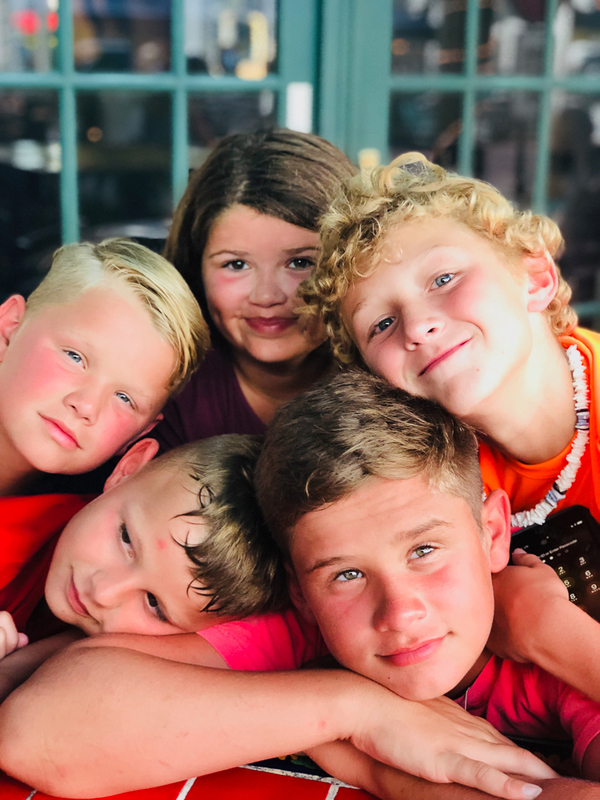 The kids love riding their bikes and stopping py by for ice cream after a long day at the beach or after dinner! 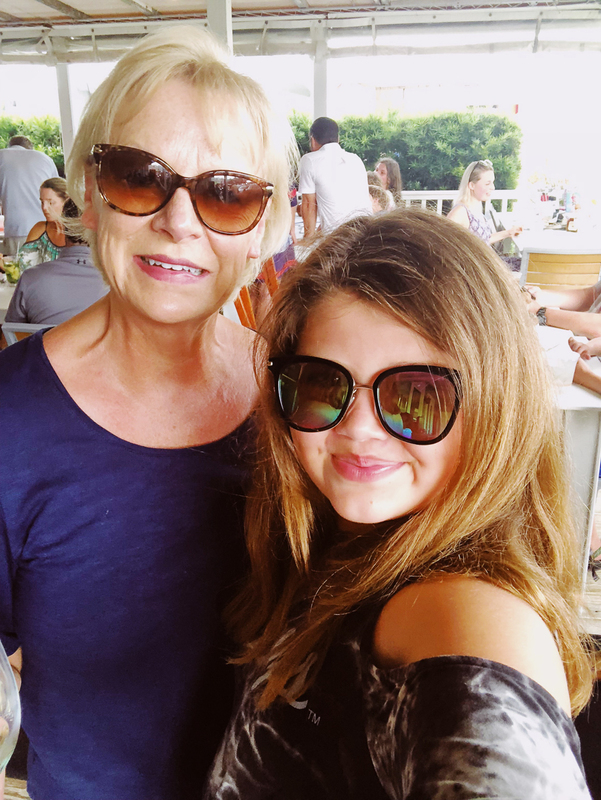 George’s (Alys Beach) – Another great place to eat and gosh, did I mention ALYS BEACH IS AMAZING. Oh yes, and if you have a wait (which you probably will) stop by NEAT across the street. 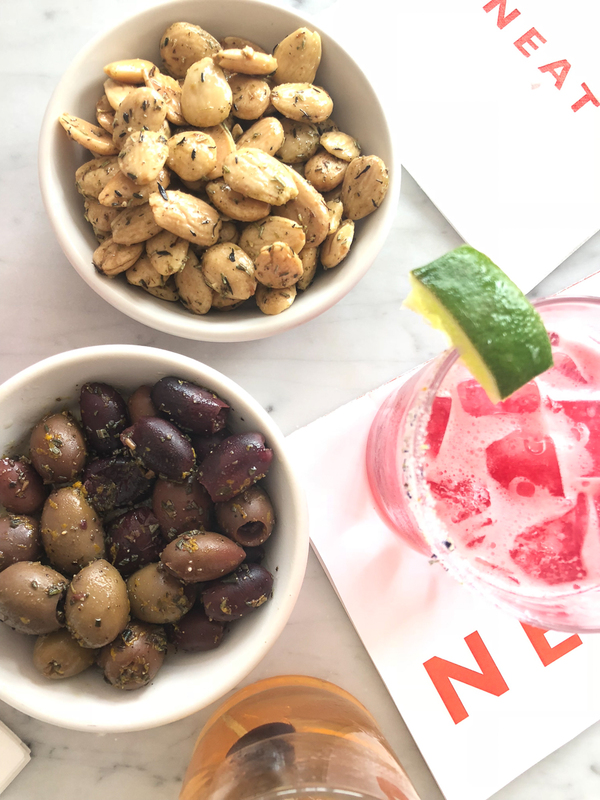 It is really neat and the drinks and appetizers are delish. 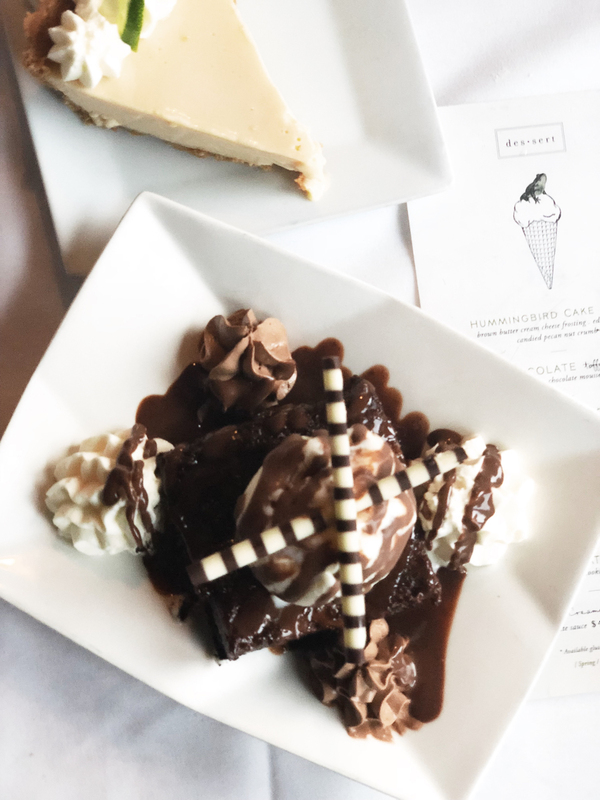 And don’t forget the OOEY GOOEY CHOCOLATE CAKE at George’s. Chicken Salad Chick – this is a fun little walk up shop in the square at Seacrest where you can get 8 different types of chicken salad, pimento cheese, chips, and more. They have a beach package that you can take with you down to the beach and they even provide the little cooler! It’s awesome! The Perfect Pig – Fun, cute decor, YUMMY food! 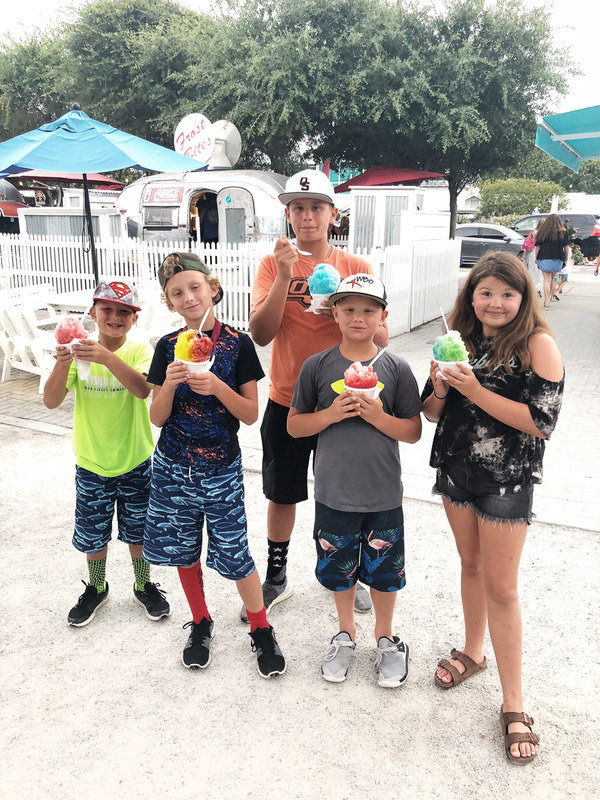 Frost Bites (Seaside) – Great little spot in the food trucks square in Seaside. 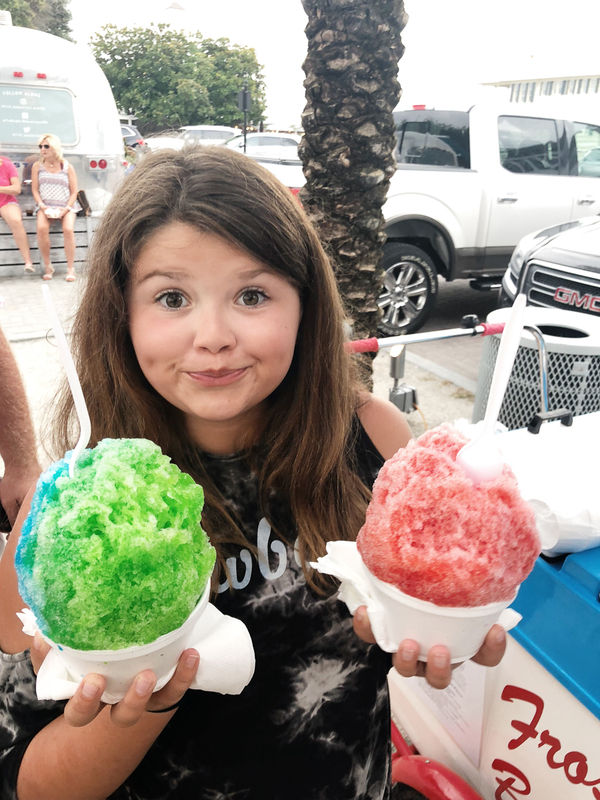 They have the best snow cones. 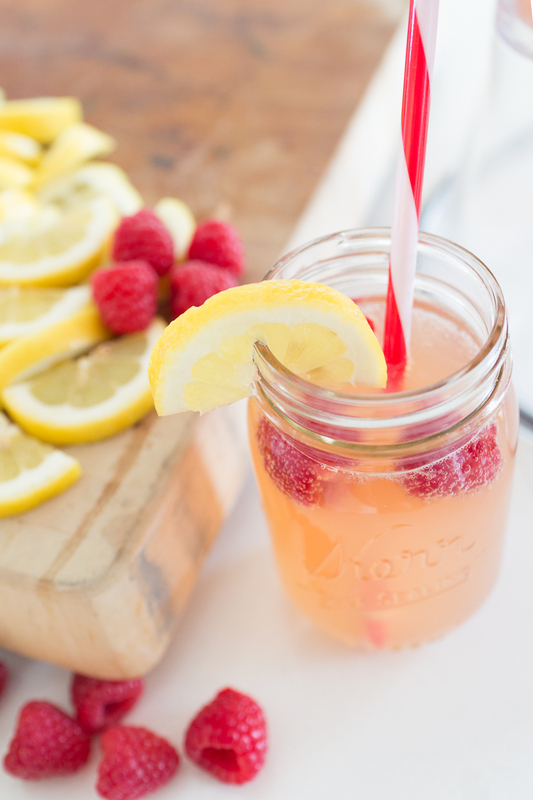 Try the pina colada! Oh yes, and Emmy highly recommends Frost Bites in case you can’t tell! 7. 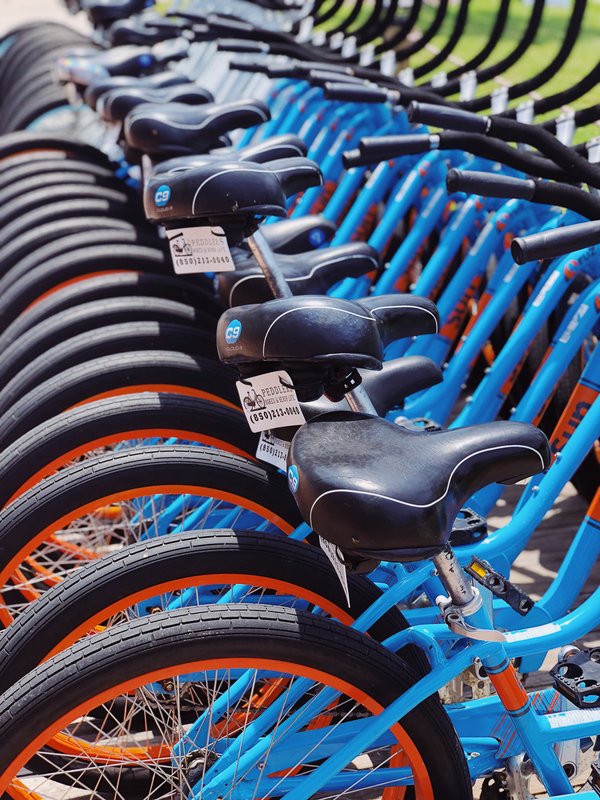 SEE EVERY TOWN SQUARE – Ride your bikes, walk if you want, drive it it’s too far but make sure you explore each town square. 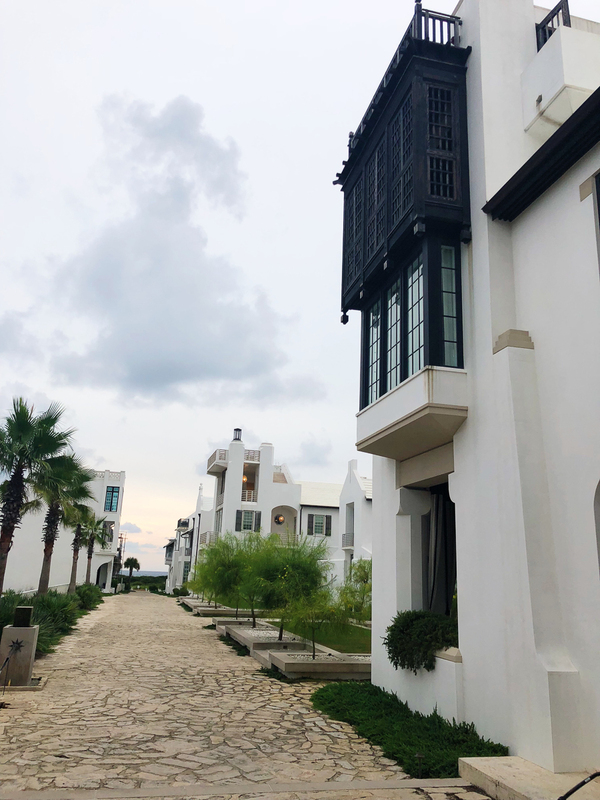 Rosemary, Seacrest, Alys Beach, Seaside, all of them have a unique vibe with their own style of architecture and they are all must-sees! 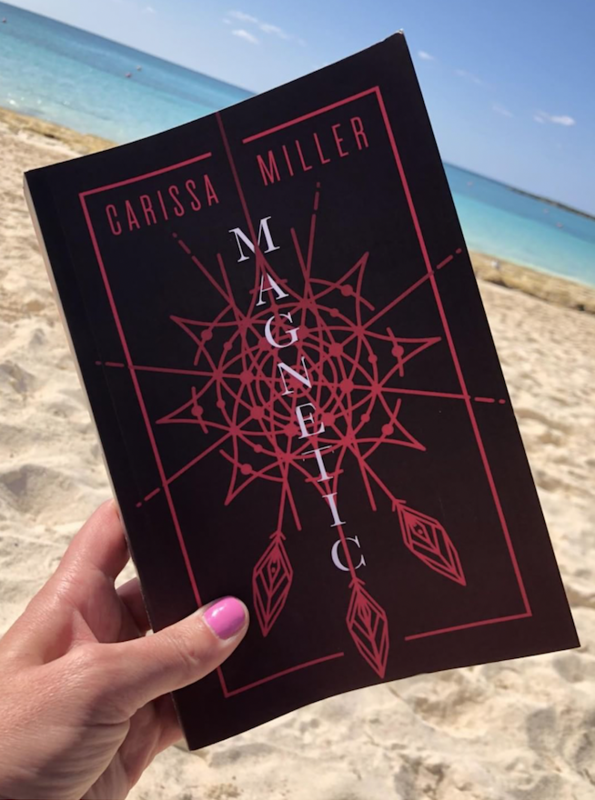 Shameless plug here first and foremost that if you love a good mystery/romance and haven’t read my debut novel — Magnetic — I would absolutely love for you to grab it before you head to the beach. And if you do, send me an email or a message on Instagram or Facebook and let me know because I absolutely love getting those and hearing from people who are reading Magnetic or have read it. 9. 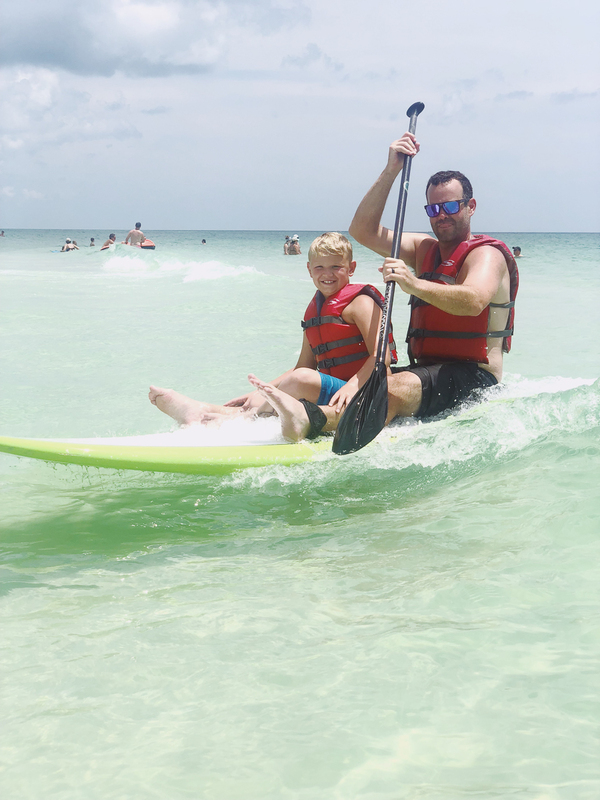 Rent a Kayak or Paddleboard – There is a place on the beach in Rosemary you can rent a kayak or there are also plenty of places that you can rent for the week and have them delivered. We had so much fun paddleboarding! 10. 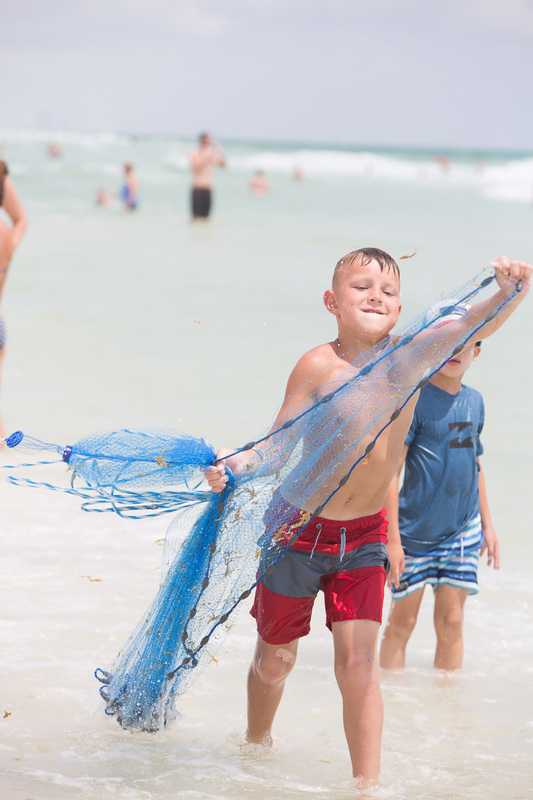 Consider Deep Sea Fishing – The boys went fishing and used Shallow Water Expeditions. I asked Mike Miller and he did not take pictures. He was in big trouble I tell you. BIG trouble. 11. Have a Pool Day – All the communities have several different community pools. It’s nice to take a break and just go swimming one day during your stay if you are staying for a week. 12. Thoughts on Flying versus Driving – We live in Oklahoma. It was a 15 hour drive. My cousin, who lives on 30A now, informed us that Allegiant has a one way flight from OKC to that area and let’s just say, we will be flying next time. If you are within driving distance though, lucky you!! 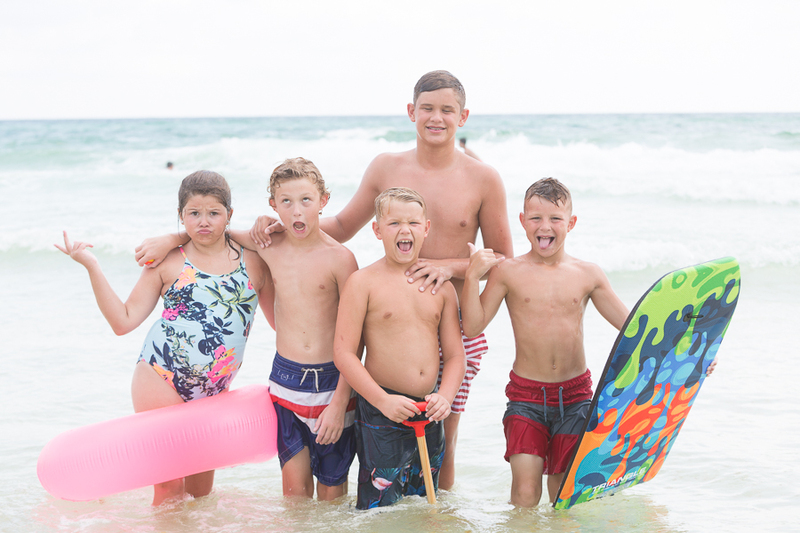 We will share all our family photos when we get the gallery but until then, enjoy some outtakes from our family sesh with Rachel from Brass Penny Photography! 14. 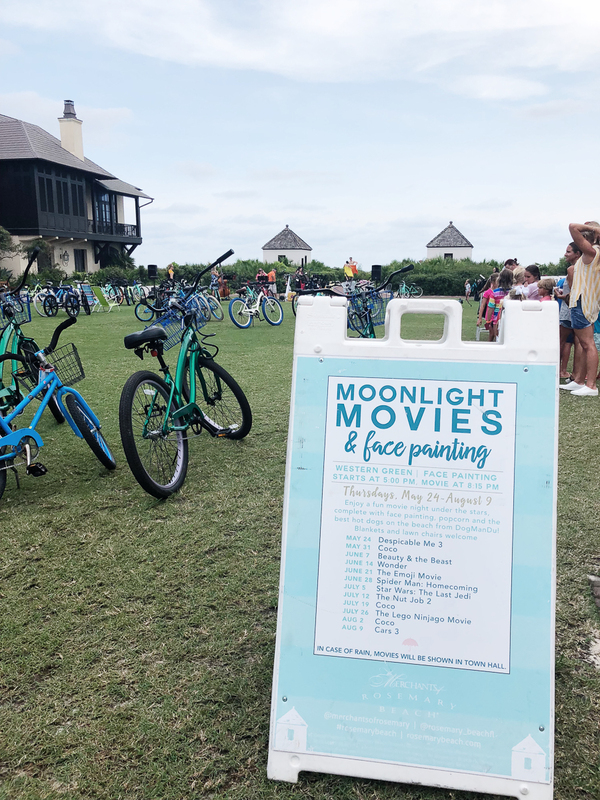 Plan to Be in Rosemary Beach for the Movie on the Lawn Night! – This was on Thursday night when we were there and it’s just a little carnival and movie on the lawn and old-fashioned fun and it’s just kinda magical. There it is, that word again. 15. Have the Time of Your Life with Your Family and Loved Ones! 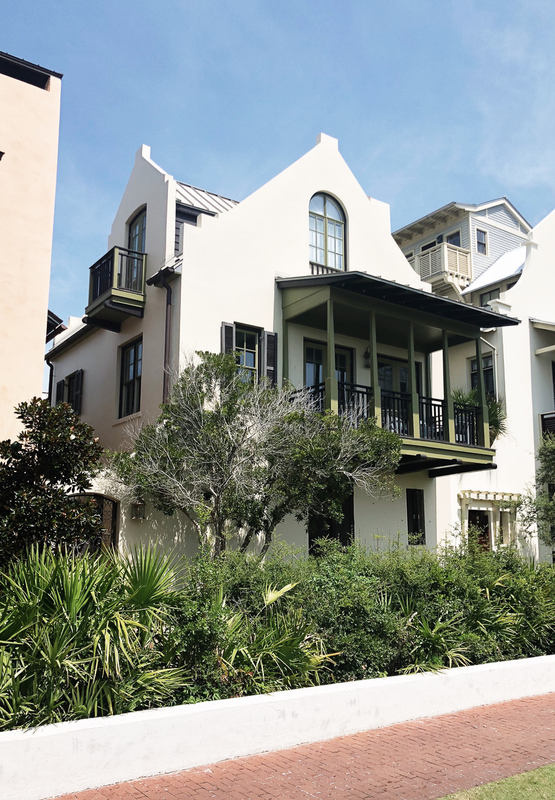 Rosemary Beach – magical, idyllic, beautiful, fun, and so much more. 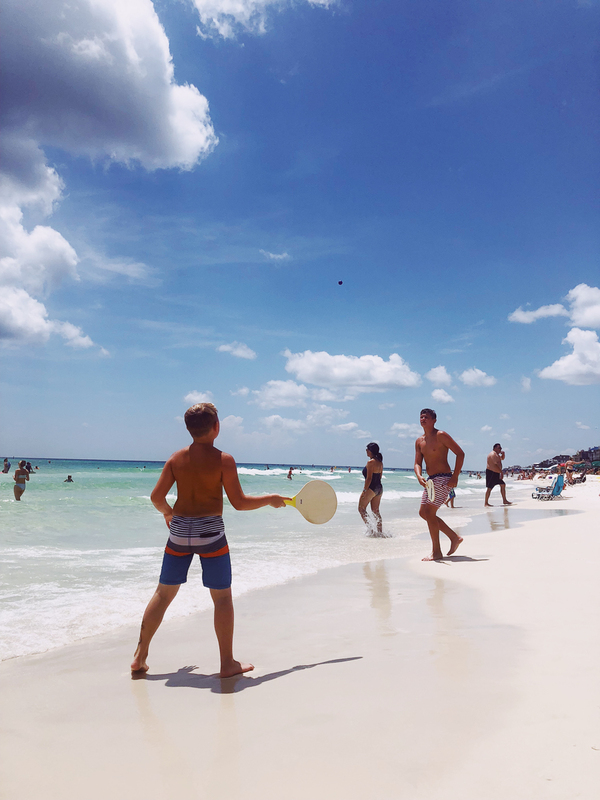 I hope these Tips for Planning the Perfect Family Beach Trip to Rosemary Beach help you guys map out your family vacation to 30A! I know you will absolutely love it and I want to see pictures and get some messages if you go so I can live vicariously through you and pretend like I’m there too! Enjoy. I know you will. We sure did! Take my back to Rosemary Beach.